Pod2g has confirmed that his untethered jailbreak is working for the iPad 1 and iPad 2 on iOS 5.1.1.
iPad1,1 and iPad2,1 tested with iOS 5.1.1. Untethering worked. Pod2g has announced via Twitter that he successfully made untethered jailbreak of the iPhone 4 on iOS 5.1. Previously, three parties had demonstrated the jailbreak of iOS 5.1: I0n1c, the iPhone Dev-Team, and Chpwn/Phoenixdev. 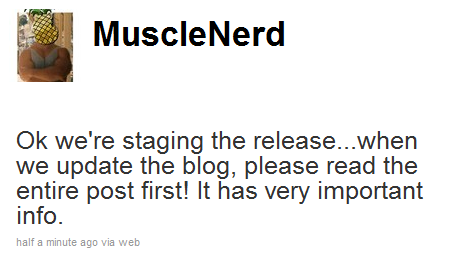 Only I0n1c claimed untethered jailbreak, but made it clear that he will not be releasing his jailbreak to the public. Thankfully pod2g has announced that he's also succeeded in untethering the jailbreak. 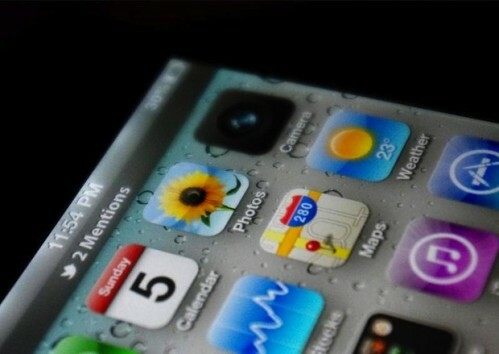 TechCrunch has posted a new rumor photo of iOS 5. It shows integrated into the iOS status bar Twitter notifications. We have heard rumors saying that Twitter will be tightly integrated into new iOS 5. Again, no clue if it’s actually real or not, but the idea might be right. Notifications that come down from the top bar could be how Apple ends up doing things in iOS 5. After all, this would mimic already existing functionality — when tethering, a blue strip appears along the top; when on the phone, it’s a green strip. Might notifications (or at least Twitter notifications) produce a gray strip? iOS 5 will be announced today at WWDC. According to 9to5Mac, Apple wants to provide convenience to their iPhone users and is negotiating with Verizon about delivering over-the-air iOS updates starting with iOS 5. Multiple sources say the new feature will debut in iOS 5, meaning iOS 5 will not come over-the-air but following point updates to it will. Just like tethering in iOS 3, Apple has the technology but cannot just unleash it everywhere. 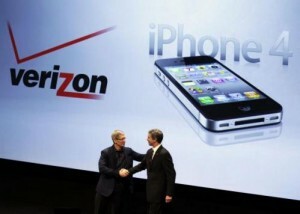 Apple and Verizon Wireless are said to have been in talks over these wireless software updates since early this year. Sources could not comment on whether or not Apple is negotiating similar deals with AT&T or international iPhone carriers. In response to Apple’s lawsuit, which accused the Korean electronics giant, Samsung, of copying the look of the iPhone and iPad, Samsung has filed a suit against Apple over patents related to cellphone transmission technologies. According to a company spokesperson, Samsung's suits relate to patents for transmission optimization and reduction of power usage during data transmission, 3G technology for reducing date-transmission errors and a method of tethering a mobile phone to a PC to enable the PC to utilize the phone's wireless data connection. Apple has finally brought wireless tethering functionality with iOS 4.3. It is called Personal Hotspot and allows users to share iPhone’s cellular data connection with other devices over WiFi connection. For instance, you can connect your iPad WiFi only model to the internet via iPhone. There's one less reason to pay additional $130 for a 3G iPad. 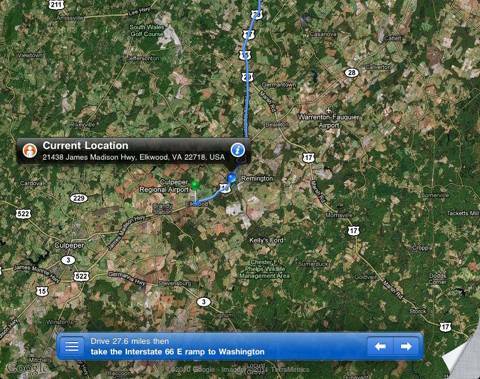 There is another difference between iPad WiFi and iPad 3G - GPS. Well, it looks loke WiFi-only iPad inherits GPS positioning capabilities when you tether the tablet to an iPhone via the Personal Hotspot feature. Kyle Carmitchel from TabletMonsters discovered this by accident and posted a video to prove it. Few days remain before iPhone 4 will become available for preorder at Verizon's stores, and this week the carrier has already launched a teaser countdown page available for existing customers, which tells them to come at 3 a.m. Eastern on Feb 3. Previously Verizon has also sent out emails to its business customers with a notification of 3 a.m. start. 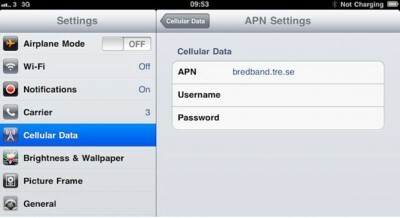 Tethering settings were added to 3G iPads after iOS 4.2 beta 2 for iPad was released. It may mean that Apple was going to add iPhone-like tethering to WiFi + 3G models of the iPad. But in newly realized iPad 4.2 beta 3 was discovered that Apple had removed such settings (see picture, earlier the tethering options were under the ‘Cellular Data’ fields). May be we will see these features in new iOS 4.2 in November or may be it was only mistake, and Apple is not planned for a future iPad software release. 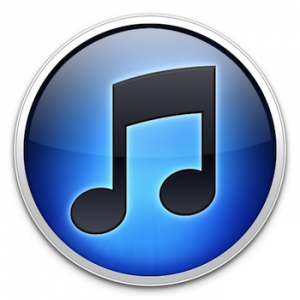 For those who doesn't like iTunes for its restrictions and lockdown on music and files a new solution has been delivered to the BigBoss repository and it’s called PwnTunes. Music files are normally named after the original filenames on the PC and without gibberish encoding. The app currently is currently compatible only with Windows (XP/Vista/7), but the developers promise the Mac support to be delivered soon. The price is €9.99. 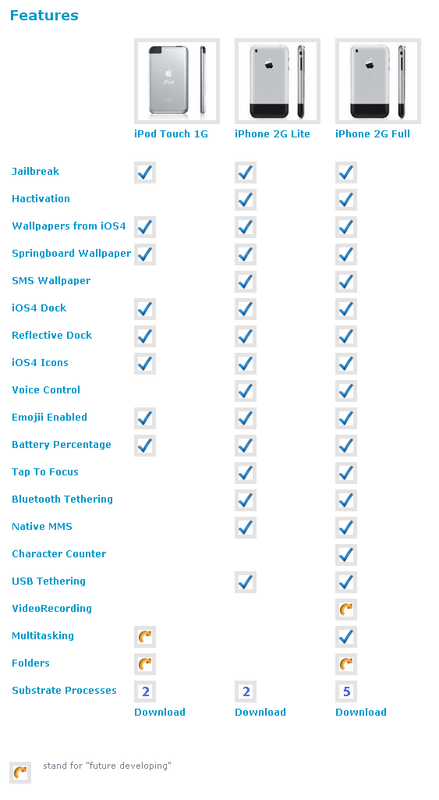 No additional software on PC is required, you just need to launch Cydia on your jailbroken iDevice and install PwnTunes from Data Storage Section. When installed, connect you iPhone/iPod Touch/iPad via USB and the app will ask you to buy License or download it if you have already purchased one. 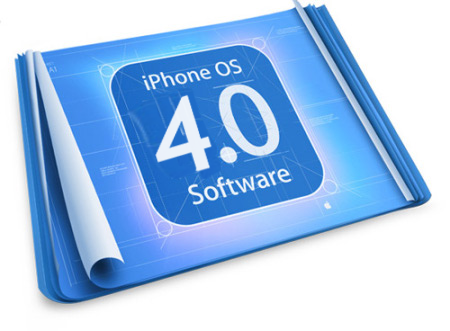 Today Apple released iPhone OS 4.0 beta 4. New firmware is available for download at its developer's center. There is no changelog, but we already have some information about new features in it.